Some people are blessed with long flowing locks that grow effortlessly, while others need to put in more effort to promote healthy hair growth. If you below to the latter group, you can benefit from these top 10 healthy hair growth tips and suggestions. 1. Use hair tools on low heat settings – It may come as a surprise, but one of the leading causes of hair damage stems from the overuse of heat. If you can’t help but to use a blow dryer daily, try using a diffuser or a brush attachment as stress reducers on your hair. 2. Buy a filter for your shower head – Chlorine purifies water, but it can also reek havoc on your strands. This will help you to avoid washing your hair with hard water. 3. Use natural boar’s bristle brushes – Lots of styling tools such as brushes come in an array of colors, but pay particular attention to the materials used to construct them. Maintain healthy hair growth by utilizing a brush with natural boar’s bristles. 4. Taking multi-vitamins – Supplements can help to repair your organs, minimize aches and pains and maintain hair and scalp health. You can choose to specifically buy vitamins for hair growth, or look for a multi-vitamin that contains an essential blend. 5. Limit the number of hair products that you use – There are many good quality hair growth products available, but remember that too much of a good thing can actually be detrimental to your hair. L-cysteine and hair loss prevention go hand in hand, just remember to keep your routine simple. 6. Apply deep conditioners – While it is important to wash your hair and scalp on a regular basic, don’t forget that faster hair growth can be obtained by occasionally pampering your locks. 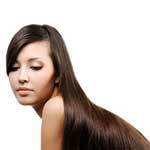 Look for conditioners that are rich in protein as well as moisture in order to get the perfect blend. 7. Treat your hair with care – Whether you protect the ends of your hair by constantly keeping it styled in a bun, or like to change up your styles daily, always handle your hair carefully. You can get more healthy hair growth by doing less with your hair. 8. Get rid of split ends – Having knots and split ends trimmed from your hair will help to appear healthier, but it will also help to prevent further damage. 9. Avoid harmful hair accessories – Hair ties with metal parts, rubber bands and tools with uneven plastic edges can cut and break off your hair. 10. Don’t bleach or perm your hair – Use semi-permanent hair dyes or roller set your hair if you temporarily need to change up your look. Bleach in particular is very harsh.